We are very pleased to share with all our followers, this post about Enred@te: the first video call service for seniors deployed by Tecsos and Spanish Red Cross / Vodafone Foundation. This new service is running amazing video calls for Android tablets and web, powered by our latest RTC technology components. 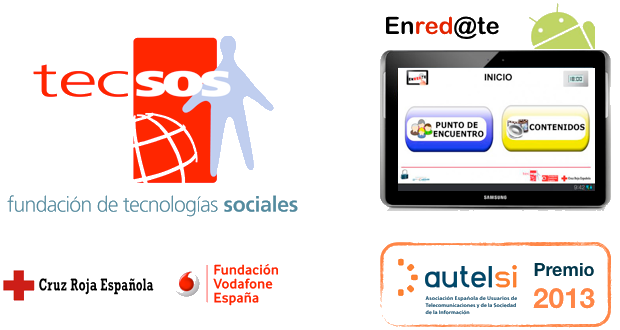 Read more about this post in Spanish: http://fundaciontecsos.es/noticias/premio-autelsi-2013-para-el-proyecto-enredte-de-tecsos About Enred@te Project: http://fundaciontecsos.es/proyectos/en-curso/enredte Congratulations to Tecsos!